Welcome to a new year. 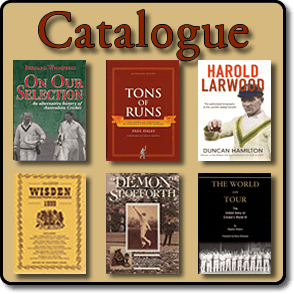 The Roger Page Cricket Books Catalogue has been released for June 2017 and is packed with a fantastic range of cricket books. Our catalogue is updated every two months. It contains a large range of cricket books on a wide variety of subjects relating to cricket, ephemera and cricket collections.